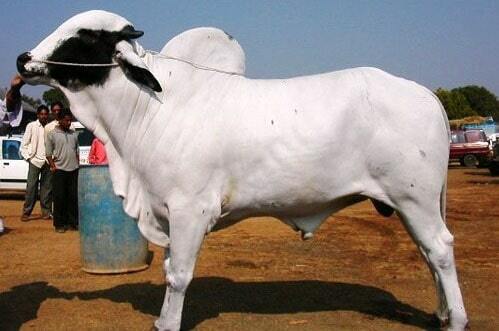 Deoni is a popular Indian cow breed native of Latur, Nanded, Osmanabad districts of Marathwada in Maharashtra. 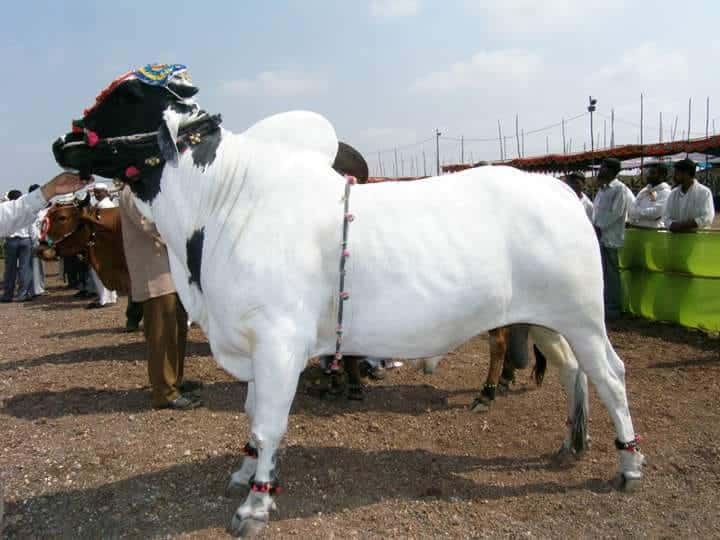 Deoni is a popular Indian cow breed native of Latur, Nanded, Osmanabad districts of Marathawada in Maharashtra. From the folk literature it is evident that Munshi Abdul Rahman, the then Director of Animal Husbandry of Bombay State played significant role in breed documentation and development. It is an important dual-purpose breed liked by farmers in the area. Deoni has also spread to adjoining districts of Telangana and Karnataka states. Deoni cattle are hardy and well adapted to their breeding tract and males command better price for their appearance and draft work. The F1 crosses with HF have shown promising milk production. Deoni, a name derived from Deoni taluka in Latur district is also referred to as ‘Dongari’ / ‘Dongarpati’ (“of the hills”), Surti or Deccani, although official recognition is by name Deoni. The breed has evolved recently within last two centuries only. Physical similarities in head, ear and horn to Gir and skin, limbs to Dangi suggest that it is a mixture, carefully bred out of local, Gir and Dangi breeds. Deoni is a medium-sized animal resembling Gir cattle in physical structure. The animals are found in three color variations; Wannera (clear white with black color at the sides of the face), Balankya (clear white with black spots on the lower side of the body) and Shevera (white body with irregular black spots). These variations have geographic distribution suggesting local breeders’ preference. The body is moderately developed and symmetrical with strong defined muscles. Head is large, masculine, alert, broad and slightly convex. The forehead is prominent, broad, slightly bulged and white in all the strains; ears are long and drooping with slightly curved tips; horns are medium, thick, apart and emerge from the sides of the poll; tips of the horns are blunt; and eyes are prominent, bright and alert with black eyebrows. Deoni male animals have characteristic massive hump whereas in female hump is small. The neck is short, strong and well developed. Dewlap is thick, pendulous, and muscular with folds. It is more pendulous in males than in females. The chest is deep and wide. The skin of these animals is thick and loosely attached to the body. The dewlap and loose skin confers adequate heat tolerance to these animals. The tail is long reaching below the hock with black and white switch. The udder is well attached and medium in size with squarely placed black teats. Bulls are characterized by blackish scrotums of a good size. The animals are docile and calm. The hair is soft and short. The hooves are well-made and shapely and of a black color suitable for draft in black cotton soil. The body is massive and upstanding with considerable depth and gives an appearance of strength. Production and fertility: On an average Deoni cow produces around 2-3 kg milk per day on crop residues whereas higher milk producing herds can be found in institutional herds maintained on balanced feed. Average lactation yield is 400 -600 kg with fat percentage around 4.5-5.5%. Age at first calving under field conditions is 37-42 months with inter-calving period of around 16-18 months. Crossbreeding with HF resulted in high producing F1 cows which also have improved fertility parameters. In few animals shorter lactation length is a common problem which ought to be eliminated through selective breeding. Previous: Previous post: Can a Heat-tolerant Cow Breed Be Evolved?